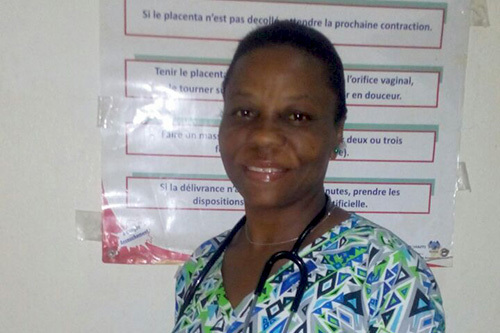 JEREMIE, Haiti – The night Hurricane Matthew struck Haiti, Marie-Lyrette Casimir, 46, was the only midwife on duty at the maternity unit of St. Antoine Hospital in Jérémie. It would be the only building at the hospital not reduced to rubble. The storm gathered strength around midnight, Ms. Casimir recounted. Winds over 200 kilometres per hour buffeted the hospital, ripping open parts of the roof. Torrential rain shattered windows, and the electricity supply was cut. In the delivery room, floodwater rose to Ms. Casimir’s knees. Screams could be heard from other parts of the hospital, terrifying the women in her care. “I tried to reassure them,” she said, even as she was wracked with fear herself. That night, Ms. Casimir safely delivered six babies by torchlight. She was relieved to report the maternity unit saw no deaths that perilous evening. 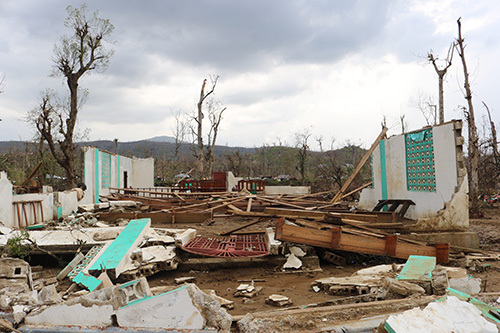 UNFPA has just undertaken a joint evaluation, with the Haitian ministries of public health and women’s affairs, of the health infrastructure in the two worst-affected departments – Grand’ Anse and Nippes. 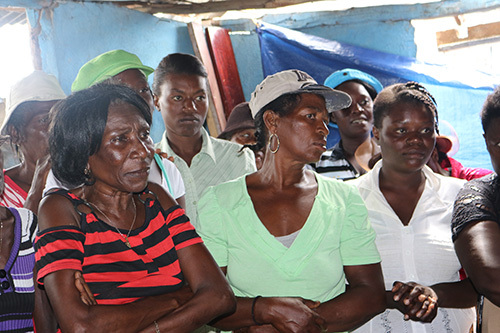 They also assessed the health and safety needs of affected women and girls. Out of 26 health facilities assessed, 23 were affected. 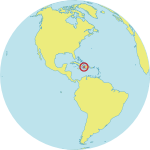 Of 11 facilities in Grand'Anse alone, two were completely destroyed, two were closed, none have power or water, and all require health workers. The health workers who remain face challenging times ahead. Among the population affected by the hurricane, there are more than 540,000 women and girls of reproductive age, who will all need quality health care. In the affected areas, more than 13,650 pregnant women are set to give birth in the next three months. Of these women, 15 per cent are likely to experience complications requiring emergency obstetric care. And women who have recently given birth will need post-partum services. Some of these new mothers will have no home to return to after they are discharged. Judelaine, 24, gave birth to her first child, a son, at the community health centre in L'Asile, in South West Haiti. Her husband, sitting by her bed, radiated a mix of joy and nervousness. The couple’s small house had just been destroyed by the hurricane. Since then, they had been staying with friends. “The wind wrecked my home,” said Judelaine. "It completely destroyed the courtyard." “Our urgent task is to protect the health and rights of women and girls, and to ensure that their basic needs, which are often overlooked in humanitarian situations, are quickly met,” said UNFPA Executive Director Babatunde Osotimehin. This includes services for survivors of sexual assault. Lack of security may be exacerbating gender-based violence. UNFPA will provide access to sexual and reproductive health services in ‘one-stop shops’ that will be staffed by midwives trained at the UNFPA-assisted midwifery school in Port-au-Prince. UNFPA will also pay to rehabilitate 15 maternity units and support mobile clinics for survivors of gender-based violence. In parallel with this, a team from UNFPA is working with the Ministry of Health to deploy midwives to maternity centres in Grand’ Anse and Nippes. UNFPA yesterday received in Port-au-Prince 261 reproductive health kits to be distributed to health facilities in affected areas. The kits contain medicine and supplies to facilitate safe birth, provide access to family planning, and support other sexual and reproductive health care. The materials are targeting some 390,000 people. UNFPA has also distributed thousands of hygiene, food and cooking kits that will benefit women and girls in the worst-affected areas. The cost of the wider damage caused by Matthew in the agriculture, fishing and livestock sectors has not yet been calculated. The full scale of destruction is certain to propel families deeper into poverty, making women and girls even more vulnerable. “I worry a lot about the future,” Ms. Casimir said.